Major George A. Filer III was an Air Force Intelligence Officer who not only had an extraordinary encounter with a massive UFO on radar over the United Kingdom but later, in the 1970s while he was at McGuire Air Force Base in New Jersey, found out that an extraterrestrial biological entity had been shot at Fort Dix. The Extraterrestrial fled to adjacent McGuire Air Force Base, where it died on the tarmac. He testifies that this life form was then picked up and taken to Wright-Patterson Air Force Base. Afterwards, many of the key personnel on the base who had a connection with this event, were quickly transferred. Major Filer also points out that the ridicule factor has been very effective at silencing people who have seen ETs or UFOs, and has helped to maintain secrecy. GF: My name is George A. Filer, III. I was in the U.S. Air Force and my final rank was major. I was a navigator in various aircraft and tanker transport aircraft. I was an intelligence officer most of my career, and in that period, frequently briefed generals and congressmen on our capabilities and the threat to our forces. Well, I was a briefing officer, and I would come to work [at] 4:00 or so in the morning. On the morning of January 18, 1978, I drove through the main gate at McGuire, and I noticed that there were red lights out on the runway, and that probably something was going on out there. [I] didn’t think too much about it until I got to the 21st Air Force Command Post, [which] was where I worked. I was the Deputy Director of Intelligence for the 21st Air Force, which controlled half the military aircraft that flew the presidents and the various VIPs from the Mississippi River around to India. We had some 300 aircraft, and we were flying all kinds of missions — almost anything that had to do with military airlift, we accomplished. This particular morning, when I went into the command post, I was met by the head of the command post, and he said that it [had] been a very exciting evening — that [we’d] had UFOs over McGuire all night, that one had apparently landed or, possibly, crashed at Fort Dix, and that when a military policeman came upon the alien, that he had pulled out a gun and shot him. And I said, foreigner, [that kind of] alien? I was a little bit confused by him saying alien. And he said, “No, an alien from outer space.” He was very specific about the fact that an alien from outer space had been shot at Fort Dix, and that he had run away after being wounded, and headed for McGuire. Now McGuire and Fort Dix just have a fence between them, and this alien apparently climbed the fence or went under it, and got to McGuire and died out on the end of the runway. The security police were out there and had captured the body, so to speak, and were guarding it. He said that a C-141 from Wright-Patterson was coming in to pick up the body. That made me stand up, because I didn’t realize that Wright Patterson had C-141s — I thought Military Airlift Command was the only one who owned C-141 aircraft — so I was like, my gosh, what’s going on here? He said, “We want you to brief us at the standup general briefing this morning and explain what happened to everybody.” And, I said you want me to tell General Tom Sadler and everybody in the command post that we captured an alien?! They said, “Yes, we want you to brief [them] this morning.” Well, I did some checking around, and I called the 38th Military Airlift Wing Command Post to check with them to see if the story was the same as I was given. They said, yes, that they had heard the same information; they said that this actually did happen — that an alien was found on the base. Later that morning, I was told that they decided not to brief it in the standup briefing, so I didn’t actually brief it. Later that morning, I carried the code word down to General Sadler’s office, and I noticed some commotion going on in there, and that some of the security police people were there, looking rather disheveled. Since General Sadler was a stickler for everyone looking perfect, it was surprising to see these people that obviously needed shaves and were in fatigues, so then I knew that this might tie into the story that I had heard. After the briefing I went to the photo lab; almost every day I went to the photo lab, because in these briefings, you have four screens and you have to keep them all filled up with pretty pictures, and so on. There, they indicated that they had taken pictures of something extraordinary, and I said, well, let me see them. The sergeant was handing them to me, when his master sergeant said, “He can’t see those,” so all I knew is that they had some pictures that I wasn’t allowed to see — but normally, being the general’s briefer — I had never been stopped from seeing any pictures that they had. It was a very serious operation. There are nuclear assets on the base — they used to carry nuclear weapons back and forth to Europe — and I talked to one of the security policemen who [claimed] to have been out there. He indicated that he essentially saw a small body that could have been like a child, but it seemed to have a larger-than-normal head. One interesting thing is that many of the key personnel on the base at that time who had a connection with this event, were quickly transferred — from the wing commander on down — indicating that if you knew something, they tended to split you up, so to speak, so you couldn’t talk about it. This was done within a matter of weeks. The security policeman told me that he was transferred within a few days — as a matter of fact, he was taken to Wright Patterson within a day or two, debriefed by a number of people, and essentially told not to talk about it anymore. I also heard that they listened to this going on, on the radios, and they heard that this chase was on; that the alien had been shot at Fort Dix. They were chasing it towards McGuire — for whatever reason, it chose to run towards McGuire Air Force Base — and that both the state police and the military police were chasing this person or alien that came from what looked like a UFO. As I understand it, it was a disc-shaped craft. They indicated to me that the UFOs had been in the area for quite some time that evening, that they had [them] on radar, and that the tower operator had seen them. Some of the other aircraft in the area had apparently seen them as well. There were six or eight people guarding the body; then there was the commander of the security police, and a few of us in the command post [who knew of this event]. I assume that General Sadler was briefed about it. SG: Have you learned of other UFO events while you were in the military? GF: Well, I happened to meet a lady who was at White Sands, and was an engineer working out there. She was out hiking one day, and she told me that she and a couple of her friends had come up to the top of a hill, and they had looked down in this valley, but only their heads were showing on the top of the hill. They just happened to be looking over, and down the way the path was, and they saw a UFO on the ground with a couple of little aliens picking up rocks and things. They watched it for an extensive period; it was only several hundred yards away from them, and they got a pretty good look at it. And eventually the aliens did see them, and they jumped in the craft and took off. I had personally never seen anything until about 1962, when we were flying tankers over England, and London Control asked us to intercept a UFO. We happened to be done with our refueling mission, and we accepted the assignment. We were just over the North Sea, and they asked us to fly to the center of England. We were doing some 400 miles an hour in a dive down to intercept this object. They gave us headings, and it was pretty much hovering in the Stonehenge area — Oxford, to the Stonehenge area, at 20-30 miles out. I got it on radar, and it was a very large return. We used to fly up by the Forth of Frith Bridge, which was kind of like the San Francisco Bridge — it is a very large bridge, and the return of the UFO was similar to that in size and intensity. In other words, it was a very large radar return. Obviously, London Control had it on their radar, and they were vectoring us to this object. When we got about a mile from the UFO, it just took off into space — several thousand miles an hour, almost directly up. Frankly, at least to my knowledge, we had nothing like that capability. My best guess is that it was a disc-type craft, but a fat disc — at least, there were lights something like this at the top and at the bottom. It was more than just a straight plate-like object; it had a dome on the top of it. If the radar return was accurate, it was probably 500 yards across in size, or something — I mean it was a huge thing. We wrote it in the navigator’s log. I also had a sighting here, where we live. This is Briarwood Lake in Medford, New Jersey; we had just moved into this house. We were asleep — I’m just guessing it was 3:00 in the morning, asleep with my wife — and, suddenly, the room got very bright in the middle of the night. I got up out of bed, and opened up the shade, and looked outside. I don’t know if most people have seen a submarine surfacing with all the water coming up — well, this was like a disc about 30 feet in diameter surfacing, and what looked to me like water coming off of it. Around the craft was this ionization — very similar to the Aurora Borealis. It moved across the lake for a while, and then flew off at a fairly high rate of speed. Because of that, I have checked with a lot of the neighbors, and it’s amazing how many people have actually seen craft on these lakes. Also, occasionally I used to do briefings on the UFO sightings that had occurred around the world, to the generals. One that sticks out in my mind is 1976 — there was a famous encounter near Tehran. Around that time, this particular colonel was telling me that the F-106 had set the world’s record for speed. They had these aircraft going as fast as they could, and they would be diving on this UFO that was hovering in a valley in Colorado. Just like my experience in England, when they got near the craft, it took off and left them standing still. They were doing 1,500 mph or something — whatever the top speed was at that time for these aircraft in a dive — but whoever was flying these had capabilities far beyond anything that we had for years and years — I think even today. I think these are something alien: it is a non-human [craft] that has a different form of propulsion and is coming here and doing reconnaissance. I’ve talked to a number of astronauts who have seen them; I’ve talked to other military pilots who have seen them, and I remember Captain Ramidge who I used to work for in Athens, Greece — he had one during the Korean War fly right off his wing, stay with him like for an hour — not only off his wing, but [doing] acrobat things around his aircraft! I don’t know the exact percentage of people, but something like 10 percent of the pilots and aircrews that you ask about it have had sightings. I sat in this room here a few years ago, and a colonel who was in Intelligence told me he had his whole B-52 crew see a UFO. You know, these people don’t volunteer and sit in front of the camera and tell about it, but there are an awful lot of people who have seen them. They know that they have advanced capabilities. They usually see some kind of a solid object that appears to be made of some kind of metal — usually a gunmetal gray. Particularly at night, people usually report various lights around them. SG: What happened to the ET at McGuire? GF: It seems to me that I was told that it was put in some kind of a casket and flown away. I also think that in 1947, in that time frame, something crashed out West. I think that something happened out there, at least based on what you might say is the talk in the military. The tendency is to make things classified when you don’t know what’s happening — secret, top secret or whatever — and if it comes down from the President, it’s a very high classification: probably a code word above top secret. In other words, need to know that kind of thing, and once that caveat or designation is put on something, it’s very difficult to get it downgraded. You can go to the archives and despite what they tell you, they have things going back to the Second World War that you still are not allowed to look at. Once these things are top secret, it just kind of moves on and forever stays top secret. You can base it on the fact, for example, that this craft had advanced technological capabilities, so you don’t want the other side to know what you know, and how these things work — it’s to your advantage to keep this secret. But, I think that it’s time that these various programs come out. The way that it’s been kept secret to this extent is through ridicule. If it was just a matter of it being top secret, I think most of the world would know about it today, but they put in a kind of ridicule factor. You will hear someone telling a story like this, and people will say, well, he must be crazy — he believes in UFOs. And, they brought this ridicule out when anyone saw anything, but my experience has been an awful lot of policemen have seen these; an awful lot of FBI have seen these; an awful lot of military have seen these. At times I used to carry nuclear weapons. In other words, I was mentally fit to carry nuclear weapons, but I’m not mentally fit if I see a UFO. This criticism and this ridicule have done more to keep the story [from] coming out than almost anything else. Nuclear Physicist-Lecturer Stanton T. Friedman received his BSc. and MSc. Degrees in physics from the University of Chicago in 1955 and 1956. He was employed for 14 years as a nuclear physicist by such companies as GE, GM, Westinghouse, TRW Systems, Aerojet General Nucleonics, and McDonnell Douglas working in such highly advanced, classified, eventually cancelled programs as nuclear aircraft, fission and fusion rockets, and various compact nuclear powerplants for space and terrestrial applications. He became interested in UFOs in 1958, and since 1967 has lectured about them at more than 600 colleges and 100 professional groups in 50 U.S. states, 10 Canadian provinces and 18 other countries in addition to various nuclear consulting efforts. He has published more than 90 UFO papers and has appeared on hundreds of radio and TV programs including on Larry King in 2007 and twice in 2008, and many documentaries. He is the original civilian investigator of the Roswell Incident and co-authored Crash at Corona: The Definitive Study of the Roswell Incident. TOP SECRET/MAJIC, his controversial book about the Majestic 12 group, established in 1947 to deal with alien technology, was published in 1996 and went through 6 printings. An expanded new edition was published in 2005. Stan was presented with a Lifetime UFO Achievement Award in Leeds, England, in 2002, by UFO Magazine of the UK. He is co-author with Kathleen Marden (Betty Hill’s niece) of a book in 2007: Captured! The Betty and Barney Hill UFO Experience. The City of Fredericton, New Brunswick, declared August 27, 2007, Stanton Friedman Day. His book Flying Saucers and Science was published in June 2008 and is in its 3rd printing. His newest book, also co-authored with Kathleen Marden, is Science Was Wrong released in June 2010. He has provided written testimony to Congressional Hearings, appeared twice at the UN, and been a pioneer in many aspects of ufology including Roswell, Majestic 12, The Betty Hill-Marjorie Fish star map work, analysis of the Delphos, Kansas, physical trace case, crashed saucers, flying saucer technology, and challenges to the S.E.T.I. (Silly Effort To Investigate) cultists. He has spoken at more MUFON Symposia than anyone else. 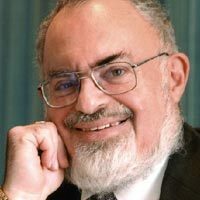 Stanton T. Friedman is a dual citizen of the USA and Canada. Who is Jan De Ceuster? Jan is a senior research engineer with a degree in electronics and telecommunications. He has now 75 years and is retired since 2000. He ended his career in function as head of the research laboratories of the Company Pauwels Trafo in Mechelen. He is married with Betje ,his wife and has two children ,a son Eric and a daughter Diane . Before his laboratory–managing job ,he was responsible for the design and realization of test facilities for high voltage ,high power transformers and functioned as test specialist in co-operative research projects with the Electricity Department of the University of Leuven (KUL). Jan is known for his open mind and therefore he became very soon co-founder of the Belgian UFO Network BUFON. His special attention goes to the physical aspect of the UFO phenomenon and he is responsible for the activities in the BUFON Workgroup: Metrology. 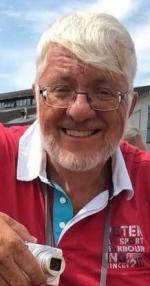 He is member of UBA , the Belgian Radio-amateurs Association and his interest goes to designing and testing of antennas for DX work. He resides now , together with his wife, in the rural community of Sint Katelijne Waver in the Northern part of Belgium, Flanders and he does speak Dutch.. In 1986 ontving hij al een trofee op een UFO-congres van UFO-Belgium voor zijn medewerking, zijn persoonlijk onderzoek en verdiensten en voor zijn internationale correspondentie voor UFO-Belgium. Interessant om weten is dat deze trofee, uitgereikt werd door de heer Marc BROUX, voorzitter van het toenmalige UFO-Belgium en nu fervent scepticus en voorzitter van SUFON. Bekende voorgangers van het ontvangen van deze trofee zijn de heren Wim van Utrecht en de Engelsman Hilary Evans.Verder werkte Pieter mee aan een boek van de Engelman Timothy GOOD en schreef een hoofdstuk in dit boek over de Belgische driehoeken. In dit hoofdstuk “The Belgian Wave of Sightings 1989-1990” in het boek “The UFO REPORT 1991” van Timothy GOOD zoekt hij bij de F117A of een ander futuristisch vliegtuig een verklaring voor deze driehoeken.Hij is sinds 1990 ook vertegenwoordiger voor de Amerikaanse UFO-groepering MUFON voor België. Het Mutual UFO Netwerk heeft vertegenwoordigers in bijna alle landen van de wereld en is een befaamde UFO-vereniging in de USA met vele wetenschappers als raadgevers.Door de jaren heen bouwde hij een verzameling van duizenden UFO-tijdschiften op, bestaande uit een 650-tal verschillende uitgaven, afkomstig uit méér dan 70 landen... Buiten deze verzameling beschikt hij ook over honderden boeken, tientallen videobeelden, en een aantal unieke rapporten over het UFO-verschijnsel.Hij bracht zelf al een aantal rapporten uit, zoals “40 jaar UFO's: de waarheid nabij”, “het Hessdalen fenomeen” en een actueler rapport “Het Aliën ontvoeringsyndroom”, dat je ook op onze website www.ufo.be kan lezen.. .Pieter probeert zich als neutrale onderzoeker en verzoener op te stellen. Hij zal de meest logische oplossing zoeken en / of aanvaarden voor elke waarneming. Hij gelooft dat buitenaards, intelligent leven tot de mogelijkheid behoort. Hij kan moeilijk aanvaarden dat de oneindige kosmos enkel en alleen voor de mensheid / de aarde zou bestaan. Enkel leven op aarde lijkt niet realistisch en zinvol als je de orde en logica in de natuur bekijkt. Elk deeltje maakt onderdeel uit van een grote geheel en is met elkaar verbonden.Desalniettemin blijft de vraag wat je onder intelligent leven verstaat? Indien je de mogelijkheid op buitenaards intelligent leven open laat, dien je vanzelfsprekend rekening te houden met de mogelijkheid dat dit buitenaards leven vroeg of laat (verleden, heden of toekomst) onze planeet bezoekt. Met deze open minded houding probeert hij zijn onderzoek in goede banen te leiden. Actueel concentreert zijn onderzoek zich in de studie van ontvoeringen door Aliëns. Hij volgt de evolutie van dit fenomeen op de voet.Verder koester hij ook belangstelling in esoterische randfenomenen, zoals graan-cirkels, veeverminkingen, ruimtearcheologie,...Intussen is Pieter al een paar jaar voorzitter van BUFON. Je kan hem het best omschrijven als een neutrale en objectieve onderzoeker, die niet ambtshalve alle UFO-meldingen aanvaardt als ET-UFO's, maar die deze kleine mogelijkheid op buitenaardse bezoekers zeker niet totaal uitsluit. Hij heeft het moeilijk met de negatieve ingestelheid van vele sceptici, die alles d'office verwerpen als aardse banaliteit. Scientific ufologist Kathleen Marden has engaged in UFO abduction research and investigation for more than 21 years. She received formal training as a social worker, educator and hypnotherapist. She was awarded a B.A. degree with honors from the University of New Hampshire and participated in graduate studies in education at the University of Cincinnati and U.N.H.. During her fifteen years as an educator, she innovated, designed and implemented model educational programs. She also held a supervisory position, coordinating, training and evaluating education staff. Additionally, she taught adult education classes on UFO and abduction history. She is the niece of Betty and Barney Hill, the NH couple whose 1961 UFO abduction stirred worldwide interest, and trustee of their extensive UFO collection. Kathy was a primary witness to the evidence of their 1961 UFO encounter and the aftermath. After Betty’s death in 2004, Kathy compiled two permanent archival collections for the Milne Special Collection and Archives Department at the UNH Library. The Hills’ civil rights collection is comprised of documents, letters, photographs and newspaper articles pertaining to Betty’s and Barney’s social and political activities. The UFO collection contains all of all the correspondence, articles, and other material from Betty’s extensive files, including new material, Betty’s dress, and the forensic paintings of her captors by NH artist, David Baker. She has also transcribed the Hills’ hypnosis audio tapes and conducted a comparative analysis of the Hills’ individual testimony versus Betty’s dream account of alien abduction. 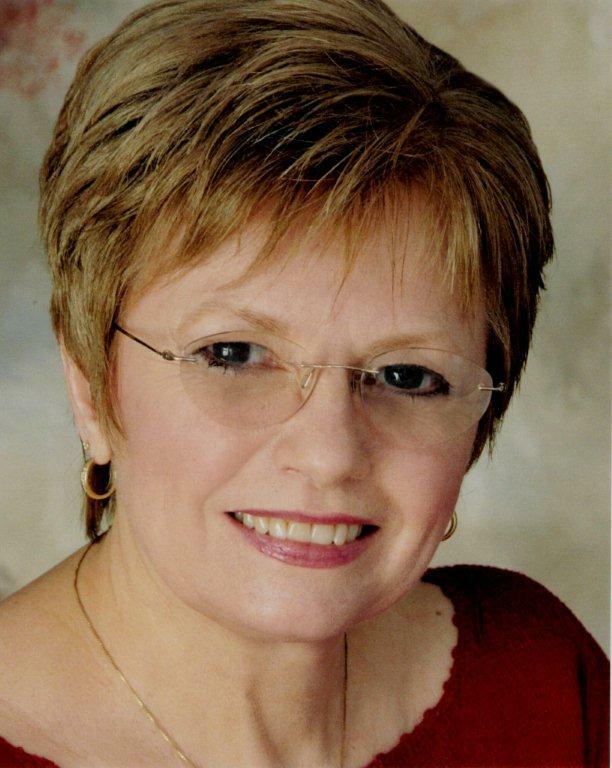 For ten years Kathy served on the MUFON Board of Directors as the Director of Field Investigator Training. In 2003, MUFON publicly recognized Kathy for her outstanding contribution of advancing the scientific study of the UFO phenomenon and demonstrating positive leadership. That same year she was the recipient of the dedication of the MUFON 2003 International UFO Symposium Proceedings. She is currently a member of MUFON’s Abduction Research Team. Her articles have appeared in several magazines. Her book Captured! The Betty and Barney Hill UFO Experience, (with nuclear physicist/scientific ufologist Stanton Friedman) was published in 2007. Her second book, Science was Wrong, also with Stan, was published in June 2010. Her chapter “UFO Abductions: Fact or Fiction” appears in the new book UFOs and Aliens: Is There Anybody Out There?. Kathy has appeared on television and radio programs in the US, Canada and Europe. Additionally, she has lectured at locations throughout the United States. Kathy resides in Groveland, Florida and can be contacted at Kmarden@aol.com. Her mailing address is P.O. Box 120172, Clermont, FL 34712. You can purchase her books or read some of her articles at www.kathleen-marden.com . Her books are also available at bookstores everywhere.